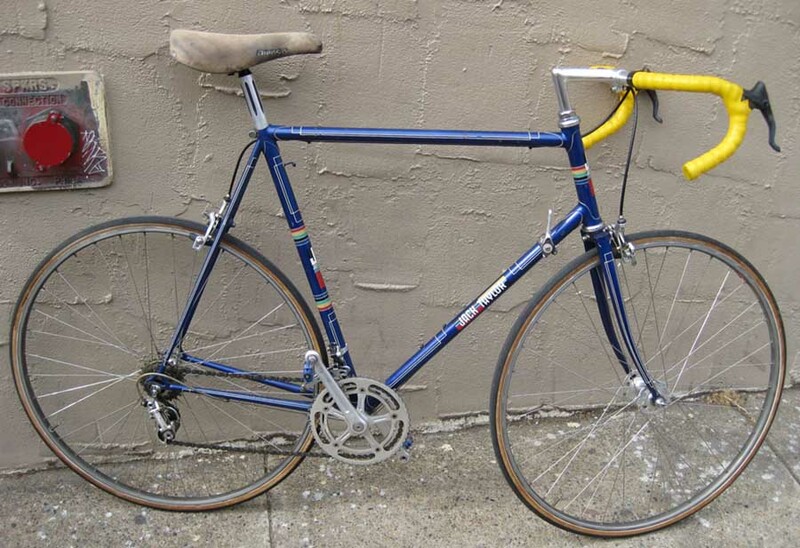 This recent Jack Taylor was spotted at a recent bicycle swap meet. 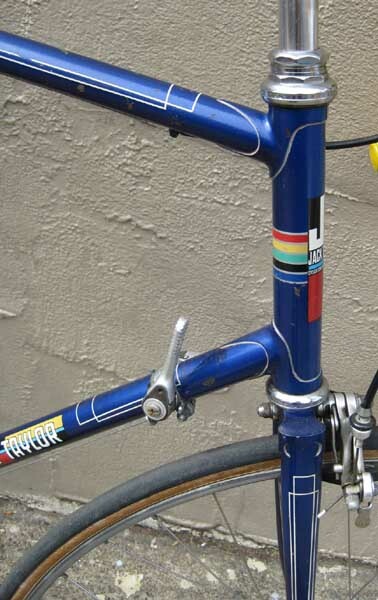 It is a tall frame(61cm, I believe) and it has a real hodgepodge of parts on it, from Suntour Superbe brakes, Campagnolo Nuovo Record headset and rear derailleur, Super Record front derailleur, etc. 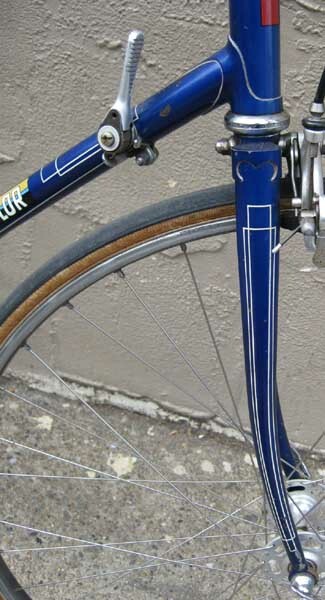 Jack Taylor Cycles were known for for their touring bikes and tandems, not so much for their strictly road bikes. 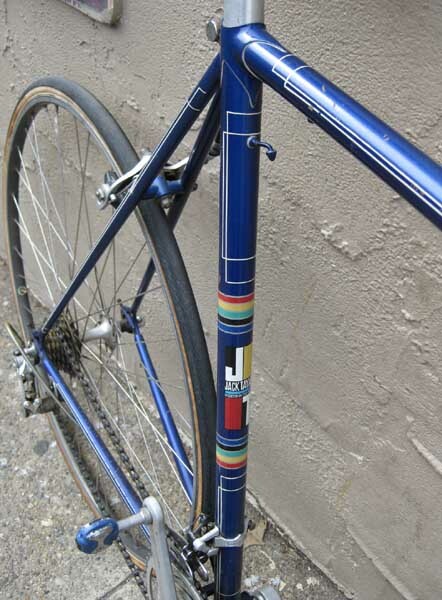 This bike was built without provisions to install fenders or racks or anything else Jack Taylor were best known for. The frame does have the typical beautiful box lining and even nice lug lining. This bike will probably end up with an employee or friend of the shop, as we always like to treat our friends. Finding beautiful bikes like these are always excellent to find and even better when they “stay in the family” and you get see them enjoyed.